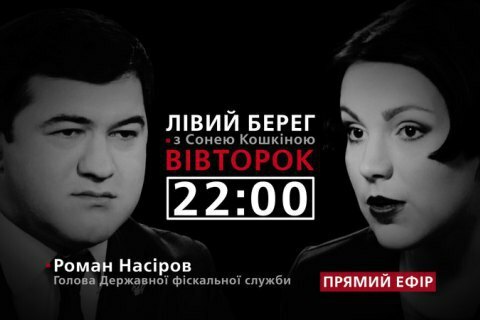 Live on 7 June at 22:00. The name of head of the State Fiscal Service Roman Nasirov acquired a scandalous aftertaste from his very first day in office. He is being accused of putting pressure on the TV host Savik Shuster , links to Vitaliy Homutynnyk, absence of progress in the fight against contraband, the desire to put his own man in charge of Odessa customs, etc. Rumours of his dismissal have been around for months, however, he boldly stepped from the previous government to the Cabinet of Volodymyr Groysman. What is behind these allegations, will the Fiscal Service be reformed and how to crack down on contraband in Ukraine – these and many other things first-hand in the Left Bank with Sonyia Koshkina talk show on 24 Channel.